Tapped into a 24 hour livecast Q&A that unified all the film screenings and featured prominent leaders from diverse perspectives who discussed how to get to a more gender-balanced world in all sectors of society: business, politics, culture, society, and home. 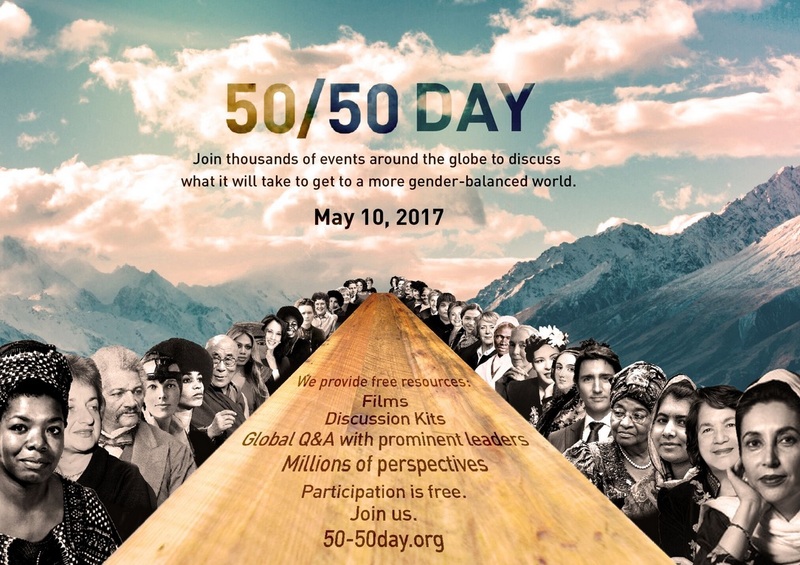 50/50 Day is based on the unique and successful model of Character Day, which was founded three years ago. Character Day has grown from 1,500 events in 2014 to 93,000 events in 125 countries and in all 50 states in 2016. 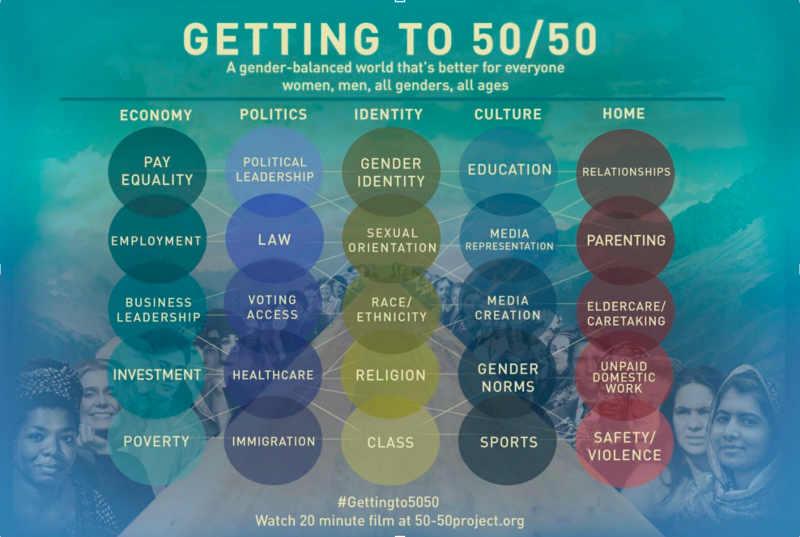 Major 50/50 Day partners range from The Global Fund for Women to Refinery29, and British Airways who will played our film 50/50 on all their international flights for the month of May. Major events took place at The National Museum of Women in the Arts, The Leonardo Museum, LucasFilms, American Medical Women’s Association and thousands of companies, schools (K-12 & universities), and organizations across the country and world.